Why choose our remortgage service? Fair Mortgages can provide you with a first class remortgage service. Fast turnaround - call us if you need to move fast! Raising additional finance - If you are looking to raise finance we will look at all your finance options as well as remortgaging. To investigate your remortgage options call our specialist team on 0117 313 7780 or fill in our call back form. 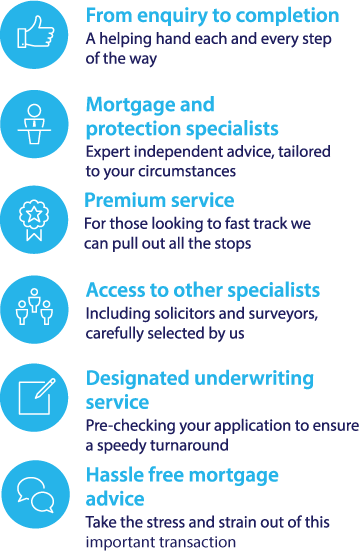 "The essence of the Fair Mortgages service is professional independent mortgage and protection advice brought to you by a team of specialist advisers and experienced administration support. With the recent changes (long overdue) to the mortgage industry, the message from the Regulator and lenders to the UK public is to get professional advice. The term 'capital raising mortgage' may refer to a borrower either remortgaging a property, or taking out a mortgage on a property they bought out right, in order to secure funds which can be used for any reason. A borrower may choose to remortgage their property to a larger mortgage, with either their current lender or a new one, to borrow additional money; providing they have sufficient equity to do so. Equity refers to the portion of the property that the borrower owns outright, compared to the overall mortgage. For example, if the property is worth £300,000 and the current mortgage upon it is for £150,000 then they have £150,000 worth of equity. Over the course of a mortgage a borrower may gain more equity, through either their monthly remortgage repayments, for capital and interest repayment mortgages, another way a borrower may have gained equity is if the value of the property has increased significantly since they took out their most recent mortgage upon it. By taking out a larger mortgage a borrower essentially trades some of their equity in the property for money. The money the borrower receives from the larger mortgage can be used for any reason they wish. However it is important to remember the fact that taking out a larger mortgage will increase how long it takes you to fully pay off the mortgage and may increase the size of the monthly mortgage repayments. Before taking out a mortgage for a larger amount it may be wise to shop around different lenders to see what the best product available to you might be, consider any fees you may have to pay to remortgage such as arrangement fees as well as early repayment and exit charges. You may also consider alternatives to remortgaging, such as for smaller amounts a borrower might want to consider a personal loan. Borrowers who are considering remortgaging to borrow more may wish to consider using an independent mortgage adviser. As well as being able to offer impartial advice, advisers that offer whole of market service can use their expertise to search across mortgages from different lenders to try and find the most suitable products for their clients. There are also certain mortgages that can only be accessed via the use of an intermediary.